AN OSCAR for James Hart, but this one came with no tears, tantrum or tedious acceptance speech. 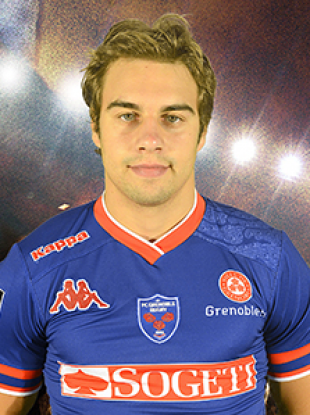 The Oscar given to the 22-year-old Grenoble scrum-half was from Midi Olympique, the French rugby newspaper voting him his Player of the Week in the last round of the Top 14 before the tournament took a European break. It was an accolade well merited. 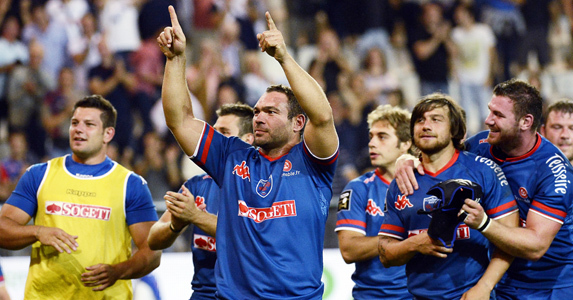 Hart scored 16 points for Grenoble in their 22-20 defeat of Racing Métro, a victory all the more astonishing as the mountain men won away in Paris. No one was happier for the Irish-born Hart than Bernard Jackman, the Grenoble defence coach, whose association with the scrum-half goes back a decade to Clontarf. Hart is a driven individual, a man who trains meticulously, doesn’t drink and, according to Jackman, has about every Jonny Wilkinson training manual going. A psychologist might speculate that Hart’s inner tougher comes from the loss of his father when he was on the cusp of adolescence, a shattering experience from which he emerged all the stronger. Hart found out about his ‘Oscar’ on the Monday after the game. The Grenoble squad were off on a team-bonding day and someone opened his copy of Midi Olympique and there was Hart, singled out as the star of the week. Needless to say his mates all had a good laugh, bowing down before the new star among them. Jackman is confident Hart can handle his new found fame. In the days following his Oscar he did a raft of interviews for the Irish media and handled each one like a seasoned pro. One question that kept cropping up was his allegiance? If given the chance would he wear the green of Ireland? “The funny thing is up until I was about 12 I always supported France in everything,” says Hart, when the strictly neutral Rugby World posed the question. “Then as I got older I became more patriotic towards Ireland. But there’s a long time to go before that might happen. Scrum-half is one position where the French have strength in depth, and Ireland aren’t exactly short in the department. For the time being Hart’s happy to try and fill his mantelpieces with more Oscars. Check out the highlights from Racing Métro v Grenoble below!